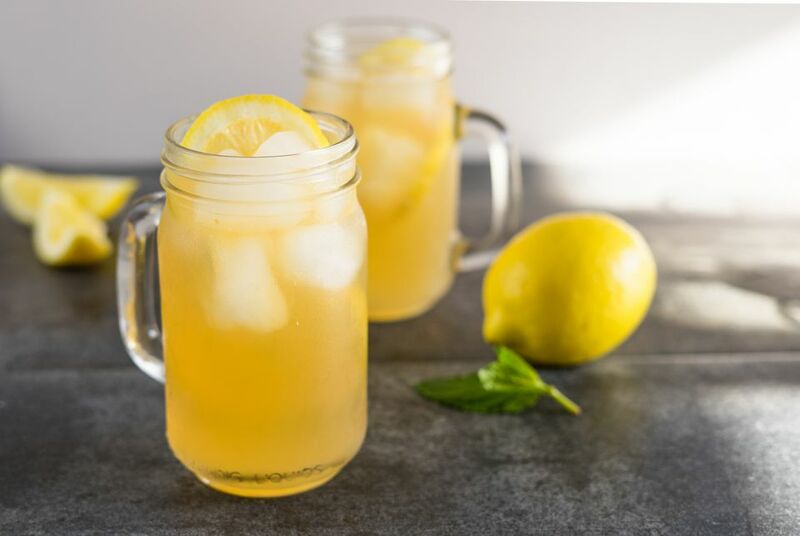 The Lynchburg Lemonade is named after Lynchburg, Tennessee, the hometown of the Jack Daniel's Distillery and it remains one of the most popular mixed drinks. While the official recipe is just a little more complicated than mixing whiskey and lemonade, it's still very easy. To mix up an authentic Lynchburg Lemonade, you will need just four ingredients, a tall glass, and some ice. The featured ingredient is, of course, the famous Jack Daniel's Tennessee Whiskey and this is by far one of the best drinks for it. The drink is semi-sweet, semi-tart, and very refreshing and after one taste you'll realize why it's long been a favorite. It's fabulous and perfect for a lazy summer afternoon or a backyard barbecue. Pour the whiskey, triple sec, and sour mix into a collins glass filled with ice. If you do want to mix up the simplified Jack Daniel's-lemonade drink, do yourself a favor and make it fresh-squeezed lemonade. It is a better option than the majority of bottled lemonades. You can quickly transform this recipe into a tasty party punch by mixing 1 part each whiskey, lemon, and triple sec with 4 parts soda in a punch bowl. Garnish it with lemon wedges and maraschino cherries. Of course, you can pour a whiskey other than Jack Daniel's into this cocktail and it will be pretty good. However, if you want the authentic Lynchburg Lemonade, then Jack Daniel's is the whiskey of choice. There really is something magical about that smoky sweetness in a tart, sparkling drink. Should you decide to change up the whiskey, go with a full-flavored bourbon like Knob Creek or Wild Turkey. Also, you might try Jack Daniel's Tennessee Honey for a semi-sweet twist. This drink may be simple and it may be common, but that's no reason to downgrade it with a sub-par triple sec. Choose a quality brand the likes of Cointreau or Marie Brizard. Whatever you do, stay away from those $5 specials that are so common at the liquor store. Don't even allow them in your bar, they're too sweet and unnaturally flavored to do any cocktail any good. Fresh lemon juice really does make the best Lynchburg Lemonade. However, if you find yourself drinking this one often, you might like to mix up a homemade sour mix and keep it in stock. Your drink will be just a little sweeter but if you upgraded the triple sec, it shouldn't be an issue. Your choices for lemon-lime soda are vast. Sprite, 7-Up, and Sierra Mist are all popular options. If you want a splash of something really interesting, try Q Drinks Lemon or Fever-Tree's Bitter Lemon. This last one adds a nice contrast to the sweet and sour drink. How Strong Is the Lynchburg Lemonade? We'll just assume that you're a JD fan and are going to mix that into your Lynchburg Lemonade. In that case, you will be delighted to know that this is a relatively mild drink. On average, this recipe makes a drink with 8 percent ABV (16 proof), which is about the same as a glass of wine. While it's a mild cocktail, it has been known to get people drunker than they expected. The problem often comes when people pour too much whiskey. To keep the drink under control, maintain a balance of flavor, and help prevent a hangover, stick to the standard 1 1/2-ounce shot.